Gov. Chris Christie opened his State of the State speech today with comments on the bridge lane closing scandal. Declaring “we let down the people we are entrusted to serve,” he promised to “cooperate with all appropriate inquiries.” Christie told the joint session of the New Jersey Legislature, “The last week has certainly tested this Administration. Mistakes were clearly made. And as a result, we let down the people we are entrusted to serve. I know our citizens deserve better. Much better. I’m the governor and I am ultimately responsible for all that happens on my watch – both good and bad”. Read the full story here. There have been a lot of apologies. Are they enough for Chris Christie to achieve his 2014 goals for the state of New Jersey? At 6:30pm ET. Fmr. Gov. Bob Ehrlich (R-MD) and Democratic strategist, Donna Brazile join Van Jones and guest host Sally Kohn in the Crossfire to debate Chris Christie. 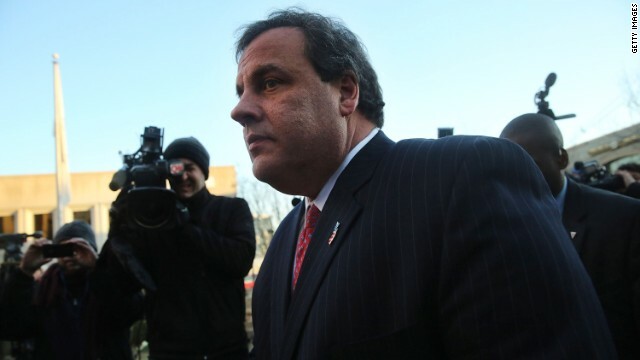 We want you to weigh in: What is your current view of Chris Christie? Vote by tweeting Favorable or Unfavorable using #Crossfire or comment on our Facebook post. View results below or through our Poptip results page. Using government resources for personal gain is generally considered bad. Personal gain doesn't just mean financial profit (as Rod Blagojevich did). It also means using resources to punish political enemies. While those controlling government do things like this... they have to justify it as being good for the people they are serving. Christie can't do that in this case. There's no justification of "public good"... its only explanation is to punish a political enemy with no benefit to the voters. That's using government resources for personal gain. It's not a fake scandal. It's Blago-light. Christie used his office to hurt the people, and he let his emplyee take the fall. How did Obammy put it ? ?/ Phony scandal comes to mind. Why doesn't the press follow up on those that Obammy did?? ?